Fall means MUSIC at your SCBG! We are excited to announce two musical options this fall! Tuesdays Tunes & Tastings will take place on the Lower Lawn behind the Visitor's Center and is proudly sponsored by Carolina Bauernhaus. The Fall Concert Series will take place in the Amphitheater and concessions will again be provided by Palmetto's Smokehouse and Oyster Bar, which will begin to be sold approximately half an hour before the concert. We are thrilled that so many wonderful musicians are willing to donate their time and immense talent to provide entertainment for the community and we cannot thank them enough. See you soon! 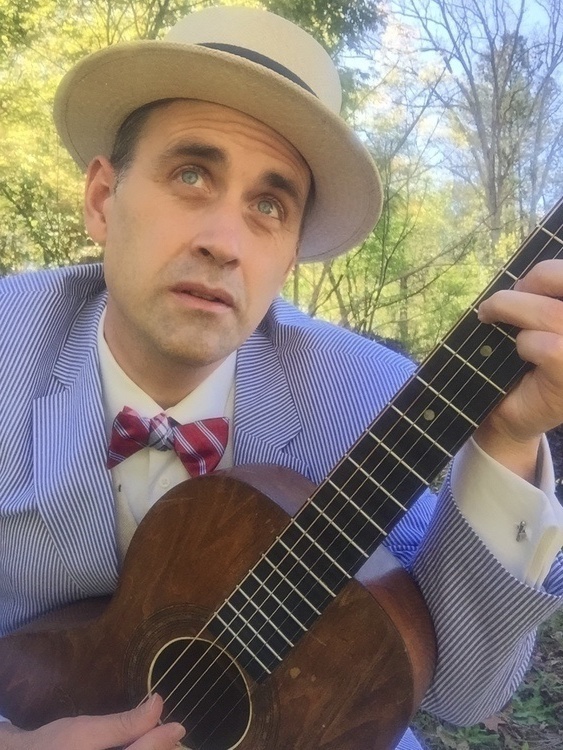 David Donar plays the guitar within the Piedmont Blues style that originated in the Southeastern region of the United States. David learned from some of the greatest old time folk and blues players located in the foothill of Appalachia, South Carolina. David continues to learn and perform with a group of talented folks in the Greater Toronto area, York Region and the Upstate Region of South Carolina. David would consider himself a finger style player and inspired by the style of country blues artists like Mississippi John Hurt, Blind Lemon Jefferson, Brownie McGhee, and old time country folk style of Doc Watson, Hank Williams Sr, and Jimmie Rogers. David strives to embrace the tradition of these old time songsters and to continue this great tradition of music to a new generation of audiences. شركة تنظيف كنب بالرياض هل تبحث عن الدقة والكفاءة والتميز والخبرة فى القيام بأعمال التنظيف ؛لا تبحث كثيرا نحن الشركة السعودية التى تساعدك على القيام بأعمال تنظيف الكنب وجميع الأجزاء المنزليه أيضا ؛فالشركة تتمكن من التخلص من كافه الأتربه والشوائب والتلفيات والاتساخات الخطيرة التى تتواجد على أسطح الكنب مما يسبب فى العديد فى تعرض الكنب للعديد من المخاطر والتلفيات ؛لذلك نحن افضل شركة تنظيف كنب بالرياض Best Cleaning Company in Riyadh على أفضل المنظفات والألات والمعدات الحديثة للقيام بأعمال تنظيف مميزة .